On Thursday, Delta customers will see updated Gate Information Display Screens information when they prepare to board their flights. 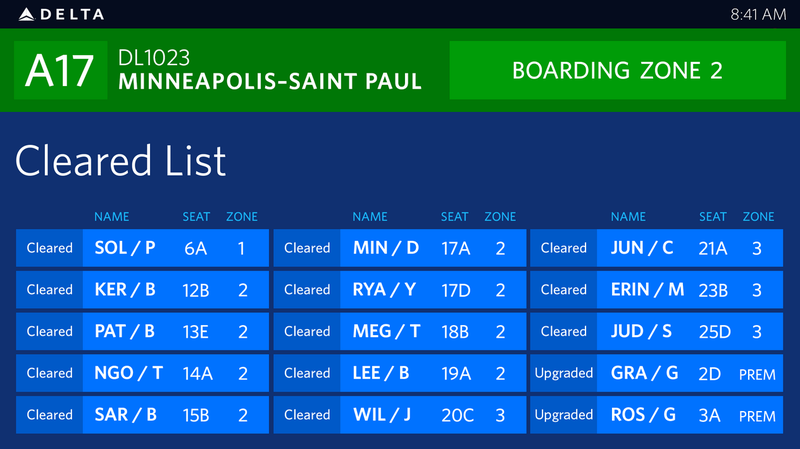 The new GIDS design-flow prioritizes the most critical flight information for customers to aid the boarding process and provide self-service details that reduce some of the most frequently asked questions at the gate. The design offers an uncluttered presentation that matches other digital channels including delta.com, airport self-service kiosks and the Fly Delta app. 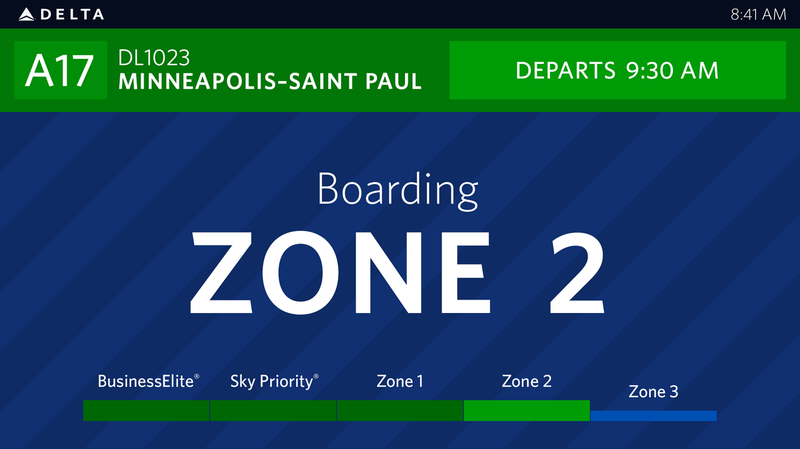 Usability and design experts focused on the information that customers wanted most while also rotating important Delta product and travel information as they prepare to board their flight. While the complete rotation of information can vary from flight to flight based on customer details, the removal of extraneous information will result in a better experience by completing information cycles more frequently. Improvements to digital technology in the airports helps support Delta’s 2014 Flight Plan goal to reduce line waits systemwide for our customers. 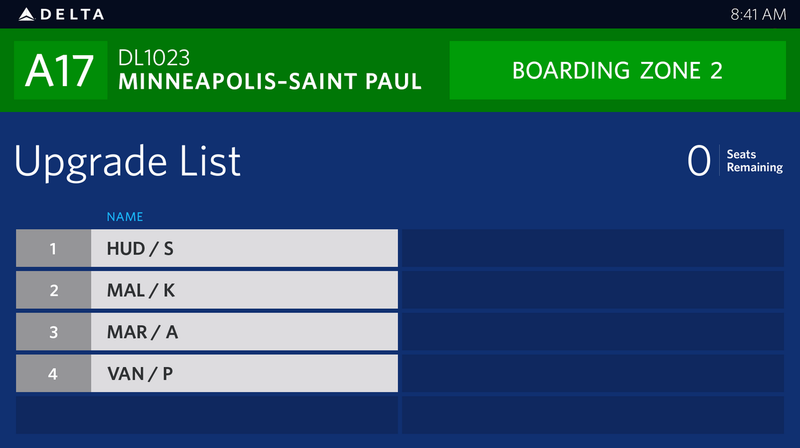 90 – Average number of seconds that it takes for one complete cycle of information during boarding, with 1 standby list screen, 1 upgrade list screen and 2 pages of cleared list displays.